Emily Holle, Director of Trend and Design at MSI, travels the world learning what consumers want — and how they shop. 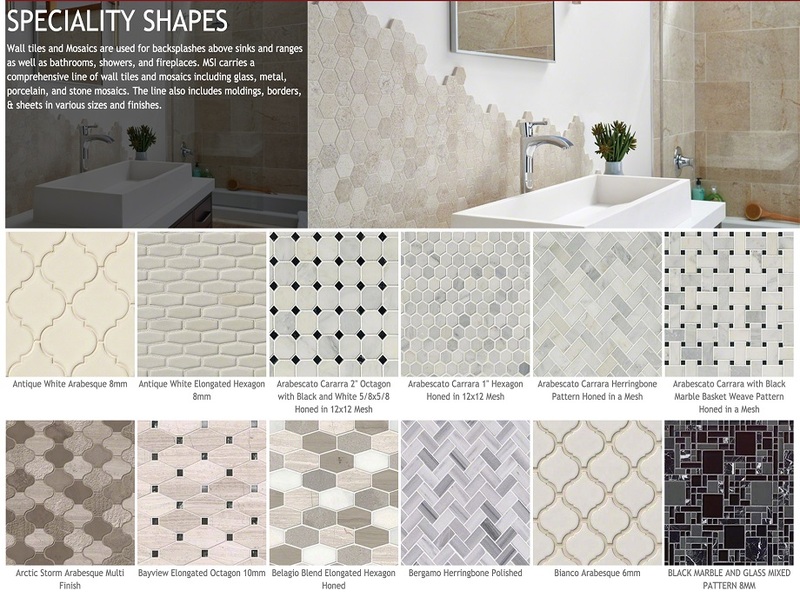 Based on these insights, MSI reorganized its Decorative Mosaics and Wall Tile category and incorporated the changes into a redesigned webpage. “By restructuring the category and updating the webpage, we’ve made our customer’s shopping experience more intuitive, efficient, and enjoyable,” said Holle. Now, users can shop MSI’s complete line of Decorative Mosaics and Wall Tiles all on one seamless page, or by popular looks and trends, such as: Specialty Shapes, Subway Tiles, Stacked Stone,Decorative Blends, and more. Visitors can also search for products by material, including porcelain, ceramic, natural stone, metal, and glass. The new webpage features Trim Pieces and Listellos too, so every tile the customer may need is right at hand. MSI carries more than 700 Decorative Mosaics and Wall Tiles offered in a wide range of materials, sizes, colors, and finishes. Visit: Mosaics to view the entire product line.